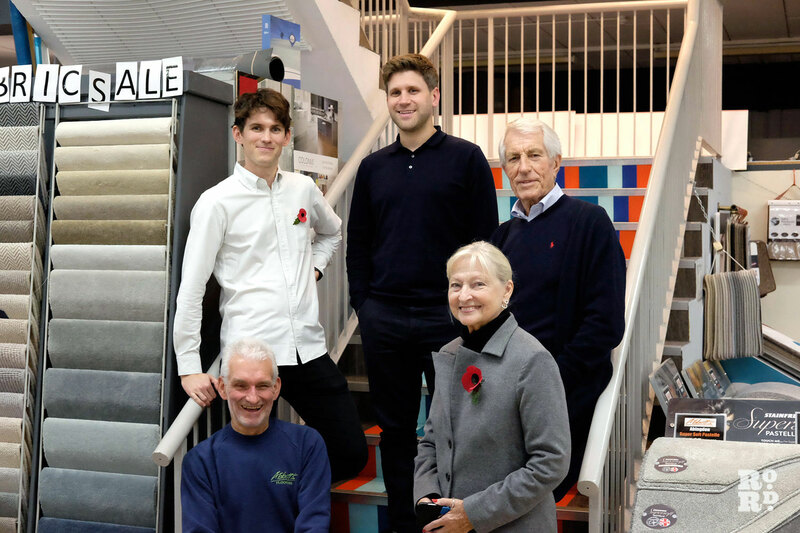 The secret to the success of Abbott’s Flooring, which has been trading on Roman Road for 130 years, has been to change with the times, swapping rolls of lino for swirly patterned carpet, for laminate flooring. The fourth generation of Abbotts is now expanding into window dressings and fabrics, and their clients now extend worldwide. Being a family business also helps. Brothers George and Phil, their sisters Lynette and Daphne, George’s wife Mary and Phil’s two sons Ben and Josh all help run the business. There is even a new addition who can sometimes be seen on the shop floor, Josh’s six week old baby daughter Ivy, the fifth generation Abbott. The beginnings of the shop are vague. There are speculations that the business belonged to Charles Abbott’s wife’s parents and when they passed away, she inherited the business. 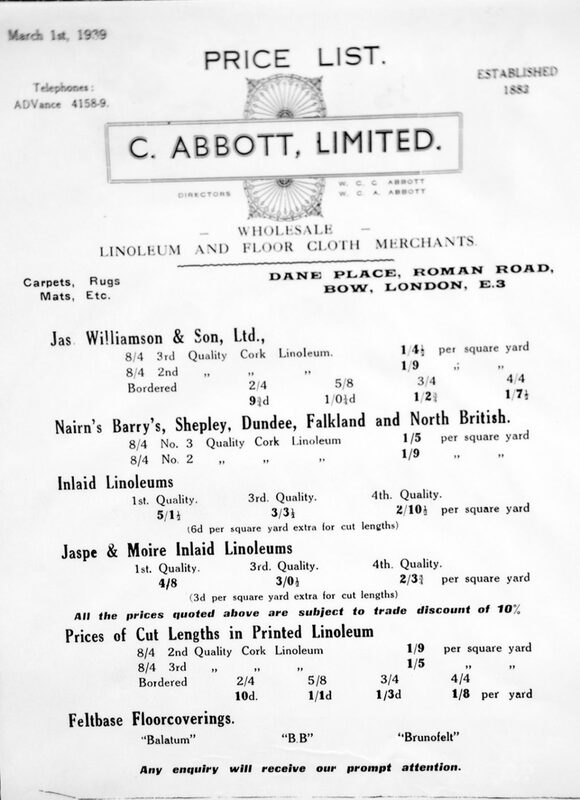 Around 1882 Charles Abbott took the shop over and registered it under his name. At this time, the business occupied only a small part of the premises as it is today. 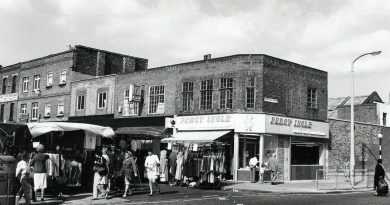 Before the current showroom was built in 1979, the site used to be a row of terraced houses, with a passageway at the back connecting all the shops where kids used to play. Abbott’s was just one of the small shops in the terrace and Charles Abbott, as any dedicated businessman would, lived above the shop. The shop has always been a flooring business, but it grew and adapted to fit the customers needs. ‘When I was little we also used to also sell Pyrex dishes, brooms, ashpans,’ says Lynette Abbott, Charles Abbott’s great niece. ‘We had a little shop selling those little things on the corner which we later sold,’ adds Lynette. The whole terrace was purchased in early 1970s and demolished in 1976. It took George Abbott three years to rebuild it into its present form. In the seventies and eighties Abbotts also ran a wholesale division in Stratford but this was sold many years ago. 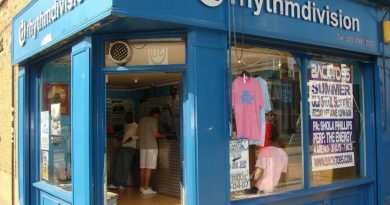 The shop on Roman Road is spread over two huge open plan floors, with three small back offices upstairs and a large parking lot in the back. There used to be a warehouse across the side street Dane Place too, but this was recently developed into flats when they moved their main warehouse further east. Abbott’s range now includes curtains, blinds, wallpaper and fabric as well as flooring. Thanks to a lot of new housing in the area, the business has flourished over recent years and their best selling product is Luxaflex blinds ‘for all those new-build flats with floor to ceiling glass walls’. They have also recently introduced a carpet cleaning service. 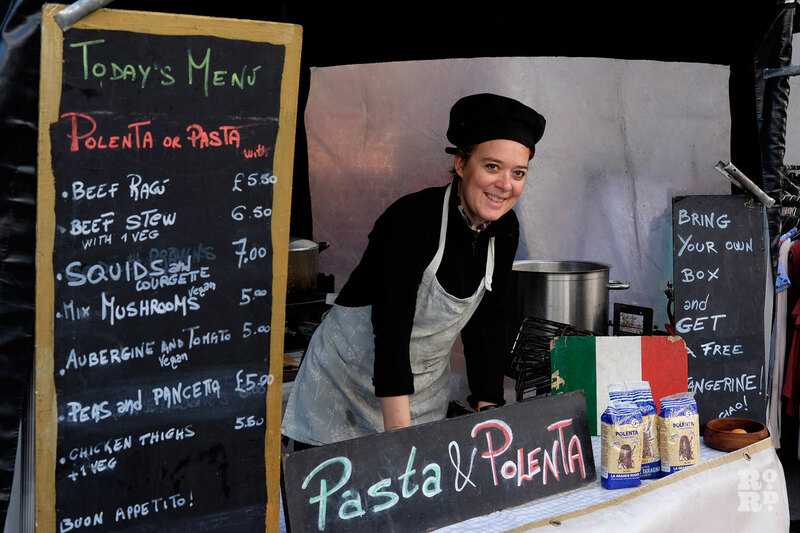 There is no such family business on Roman Road like Abbotts. Charles Abbott passed down the business to George’s and Phil’s father, who then passed it down to them, as his brother didn’t have any children. Ben and Josh are the youngest generation and said to run the business when George and Phil no longer can. However, as much as all the members love their work, it isn’t a case of being born into the business. Lynette Abbott, Phil’s and George’s sister didn’t intend to work in the shop. She was helping their father during the school holidays, when everything was done by hand, writing invoices and doing book-keeping. Her father asked her to join the business while she was looking for other work, but Lynette has stayed ever since. She started working in the office with her two aunts in 1970 and only left to have her her children. 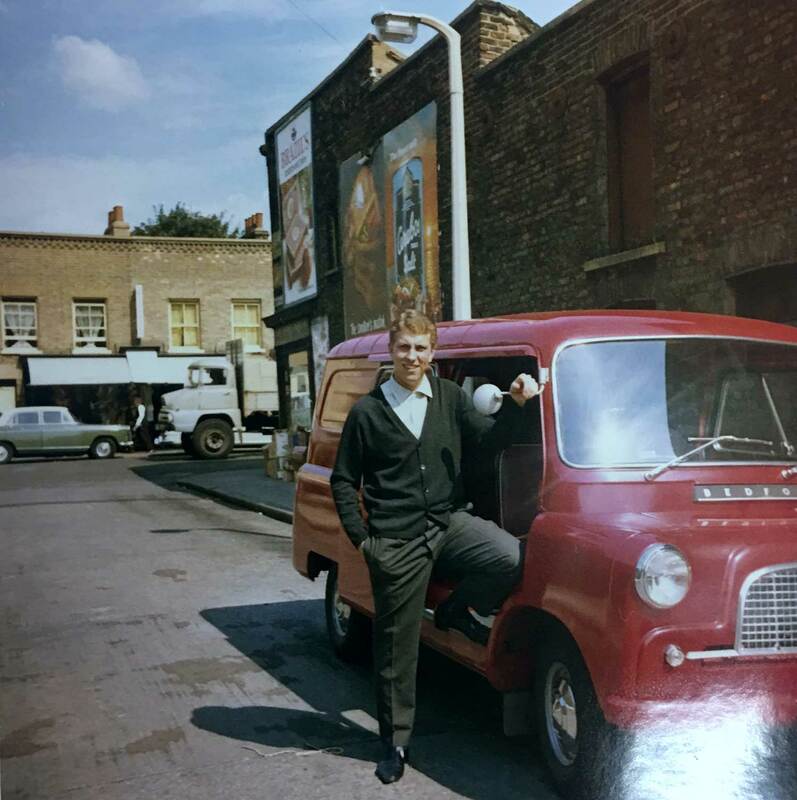 George, now 76 started helping his father out with the business when he was only 14 and he never looked back. Brother Phil, younger by ten years, joined after he did an apprentice in engineering. ‘It’s not like you don’t have any other choice’ Ben Abbott tells me. Ben also went to college and studied but decided to join the business rather than going to the university when he was 17. His brother was drawn to the idea of travelling the world while he can. He didn’t plan to go into the business but when he came back to the UK an opportunity arose and he decided to join the family venture as well. 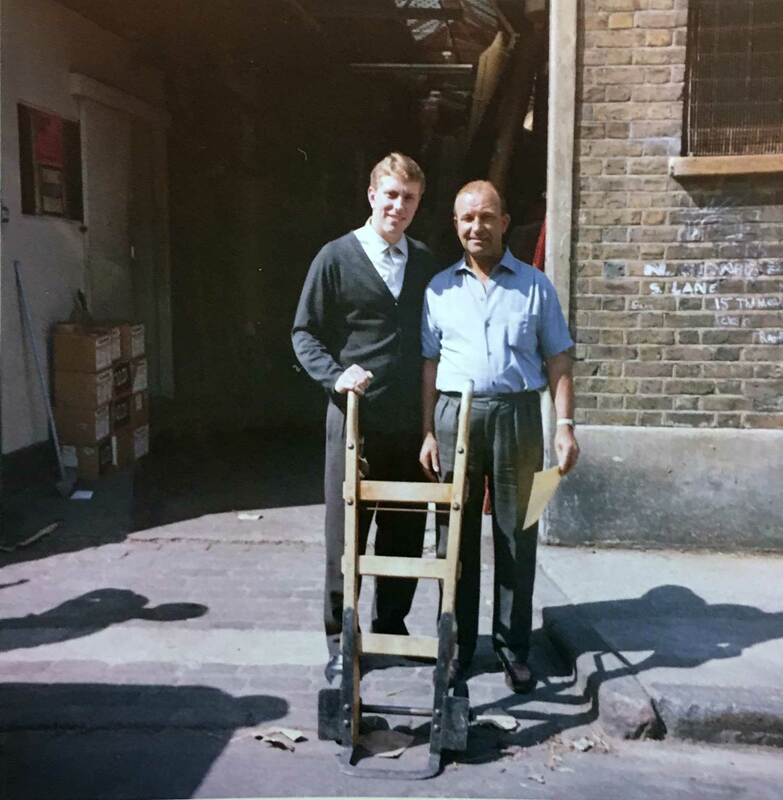 His initial plan was to train as a flooring fitter, the first Abbott to take on this role. But he now runs the booming blind business. The roles have been distributed harmoniously and the family members rarely argue. George, the oldest brother is the managing director while his brother Phil has taken on the role of director and company’s secretary. George’s wife is also a director and Lynette has always worked in accounting, while her sister Daphne works in the office one day a week. Ben oversees everything day-to-day, and his brother Josh is in charge of the window dressing department. ‘We all devote a lot of time to Abbott’s, which is sometimes hard to balance with my personal and family life. I take on every job very personally so if it goes well I get a massive sense of achievement,’ adds Josh Abbott. ‘A lot of our customers, their grandparents and even their great grand parents bought their carpets here. They say: “Oh this is what my parents had in their house in the eighties”,’ says Ben Abbott, highlighting their standing within the local community. While Abbott’s Flooring covers the whole of UK, they also have projects across Europe, including Ibiza where they have been installing blinds in various properties. ‘Businesses in Ibiza are quite slow at their job and because we had some contacts down there and went there to look at some properties, we have been approached to do the blinds,’ says Ben. ‘Everyone wanted to go on that trip,’ he adds, laughing. According to him, people know that they will get the job done and do it well, that’s why they’re so popular. ‘People know about us by a word of mouth. We do someone’s flooring and they then tell their friends about us and so on,’ says Lynette Abbott. One of the biggest projects was working on a hunting lodge in Latvia. ‘The lodge was massive and it is just incredible to work on such things,’ says George Abbott. ‘It’s always been about the fact that we’ve been here for so long. That’s why the locals know us, because people recommend us and we are the biggest flooring business around here,’ says Phil Abbott. Local celebrities also need their floors to be done from time to time, or when they’re moving into a new place. Abbotts usually work directly with the interior designers or agents, but sometimes they get to meet the celebrities themselves, including film director Danny Boyle who lives in Bow. 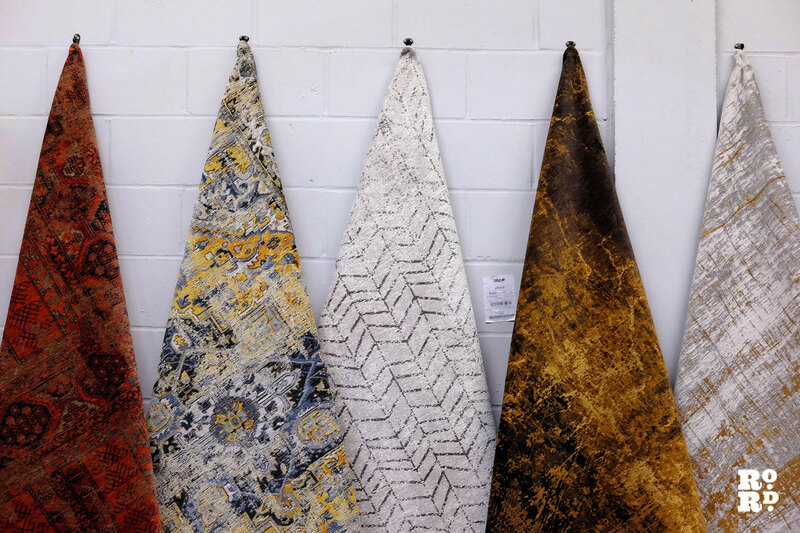 Trends have changed over the years and carpets are not as fashionable as they used to be. People prefer wooden flooring as the heating and window glazing gets more advanced. ‘In the old times, the houses were quite cold and carpets were the best solution to make it more warm in winter time,’ agrees Ben Abbott. Flooring, just like clothes and furniture, is trend based. Colours that used to be popular have gone out of fashion – grey has replaced beige and so on. Pattern carpets used to be in fashion ages ago and now they’re coming back. ‘At the end of the day money makes the world go round. If you don’t change the fashion you’re not gonna change what you’ve got,’ says Lynette Abbott. According to her, the vibe going on in people’s homes now is ‘mid-century chic’ – including tick furniture, pattern wallpaper and everything that was fashionable in the 1960s and 1970s. Although Abbotts don’t live locally and they drive down from their homes in Essex every day, they know the ends quite well. They also encourage employing local residents and if they have a vacancy, you’re most likely to spot it on their window. ‘A lot of our staff stay here for years because they appreciate the fact they’re working locally and for a family business. We try to include them in the family,’ says Lynette Abbott. The area has changed rapidly and the family had to adjust their business to their customers’ needs. The shop has been revamped a few times over the last ten years and new products were added. Although the biggest change George and Phil Abbott have noticed is the local residents. ‘The population is very diverse now and new people are moving into the area,’ says George Abbott. George and Lynette Abbott were both born in Stepney Green and Lynette moved to Shenfield with her parents at the age of 12. They remember going down the market with their mum. ‘It used to be like a gold dust to get a pitch on the market. It was very high class,’ says George Abbott. 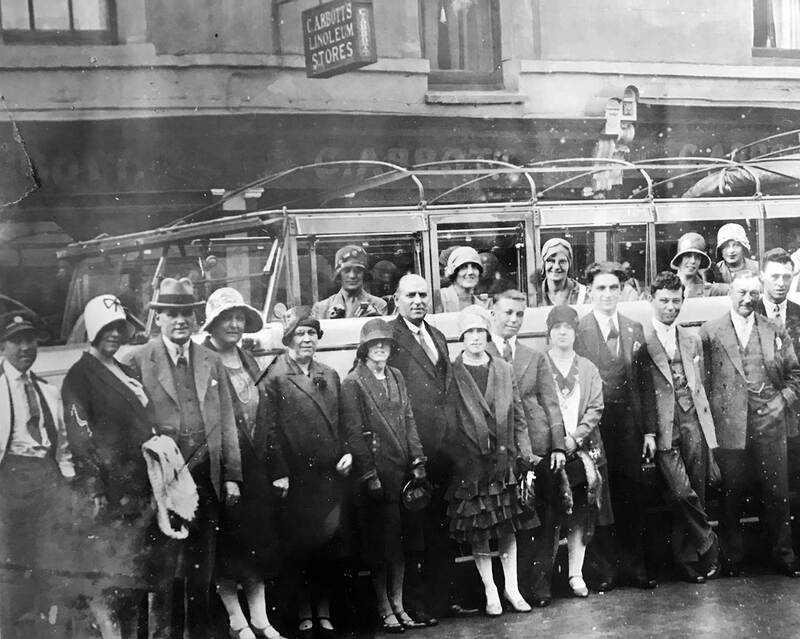 Their great-uncle Charlie who set up the business was a kind of a local celebrity. He was considered wealthy in the area because he had a business and a car in a time when people barely owned their houses. Charlie was photographed and featured in a local newspaper during the Second World War giving pennies to children. ‘No one really knows why he was giving them the money,’ says Lynette Abbott. George Abbott remembers local gangsters Kray Twins, and tells of a close call. Him and his friends would go out drinking on a Monday night (‘less busy than on the weekends’) and were heading to the Blind Beggar on pub crawl. Luckily for them, they got held up by a friend in the previous pub. ‘We never got to Blind Beggar that night and in the morning we heard the news about the shooting of George Cornell. I guess we were lucky. No one would want to be a witness of that,’ says George Abbott. During the Krays’ funeral, George Abbott remembers watching the parade from the front of the shop. ‘It was impossible to miss that,’ he says. 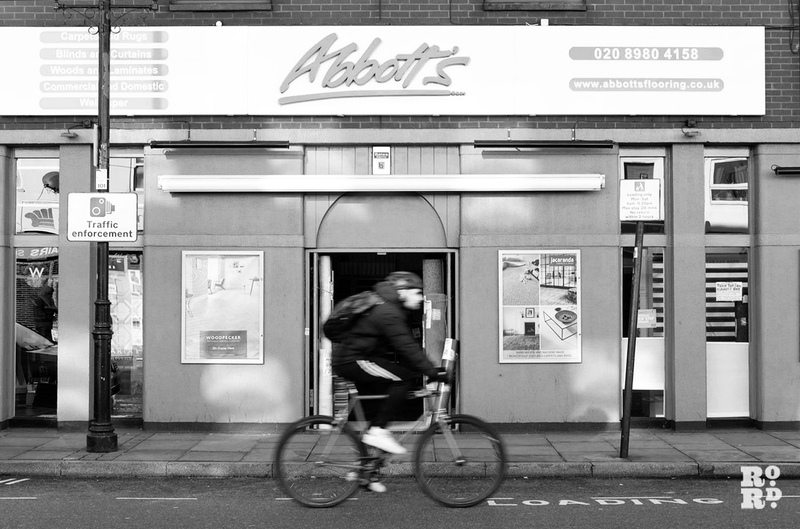 Abbotts have been approached by many businesses who wanted to buy the site from them, one of them being Sainsbury’s which wanted to occupy the ground floor and turn the upper floor into flats. However, they never considered selling it. Ben and Josh Abbott also love the area – you’ll find them grabbing a coffee in one of the local coffee shops such as Zealand cafe and Mae and Harvey. Josh’s go-to for DIY products is Thompsons and for last-minute gifts and cards he always runs to SNAP. 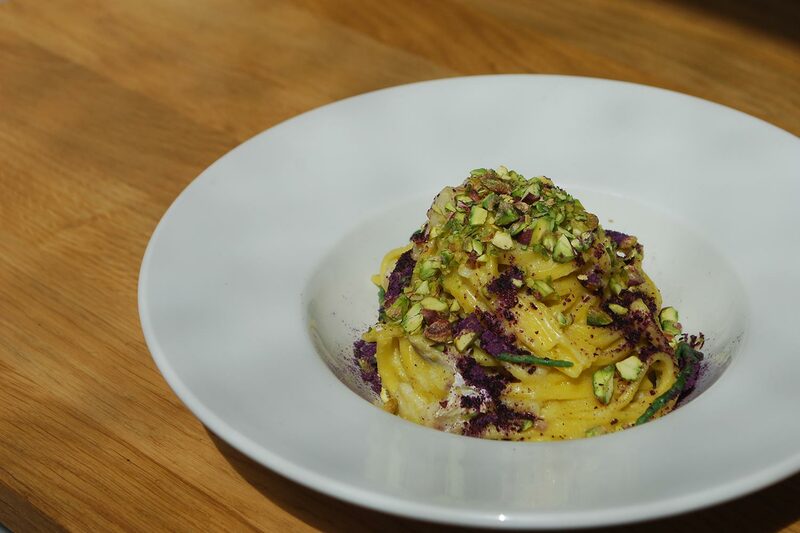 The cafe loved by the whole family is Randolfi’s – a family-run Italian restaurant that has been at the same spot since 1906. ‘It’s important that these old traditional family run businesses keep going as long as they can’ says Lynette Abbott. We couldn’t agree more and hope little Ivy will one day be the fifth generation of Abbott to take over the business. If you liked this article, why not read about another old family business, Downey Brothers and their fish stall. Always a pleasure bumping into an Abbott family member. If you read this George and Phil hope your all well.